This review is for the second episode in the series The Witch Who Came in From the Cold, the first episode can be found here. This second episode, A Voice on the Radio, opens with Tanya Morozova wanting to talk to her grandfather. The problem is she’s in Prague and her grandfather is deep behind the Iron Curtain, in Moscow. But she has a way of getting in touch with him through some unusual means. Using an old wireless radio that has seen better days and some magical techniques, she is able to get in touch with the her relative. She needs some advice on how best to get Andula to realize she and the Consortium of Ice only want to help her. The episode focuses on Tanya trying to win Andula over and let her know that the Consortium of Ice just wants to help and protect her. Readers learn in this world the Consortium of Ice wants things to return to how they were before, whatever they might be, while the Acolytes of Fire want some sort of radical change. Gabe Pritchard discovers Andula and his detective sense begins to tingle. Eventually he finds the young girl talking to Tanya Morozova at a formal event and knows there must be something going on here. The higher ups need evidence to be convinced, so he really needs to find some. Meanwhile his migraines continue to get worse and he enlists the help of a friend to use magic to try to determine what is wrong with him. He hopes it will be a quick easy spell and his head will be better, but it’s a lot more complicated than that. The second episode in this magical thriller builds on the first, explaining some of the mysteries from the premiere episode, as well as adding some new ones to continue to pique the reader’s interest. Originally written on February 12, 2016 ©Alex C. Telander. 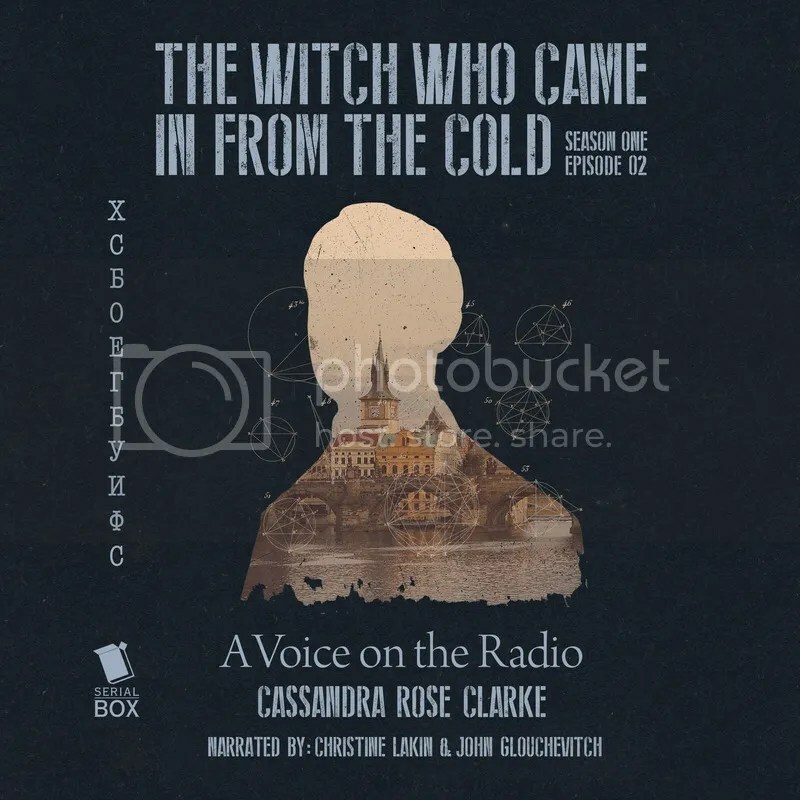 To purchase a copy of The Witch Who Came in From the Cold, Episode 2: A Voice on the Radio from Amazon, and help support BookBanter, click HERE. It seems whenever an author dies that does not necessarily mean the end of his or her career, as there is always at least one more book to be published posthumously which the world has never seen. Marion Zimmer Bradley, who shocked the world with her retelling of the Arthurian legend from the woman’s point of view in Mists of Avalon died in 1999. Coauthored with Diana L. Paxson who finished off the novel after Bradley’s death, Priestess of Avalon is the last book in the magnificent Avalon series from its creator. The main character is Helena and the time is the third century AD. Rome is still relatively in control of Britain, but the barbaric tribes are eating away at its frontiers and the empire is slowly but surely withdrawing its troops from the far North Country. Even though Helena has a Roman background, she inevitably ends up in Avalon and becomes a priestess, then she also is exiled from Avalon, missing it greatly and unavoidable becomes part of Avalon again. More importantly, she gives birth to a strapping young lad she calls Constantine who becomes one of the greatest emperors of the Roman Empire, and is the authority who makes everything and everyone Christian, in direct contradiction with the very teachings of Avalon. Sadly, after the magnificent pace and excitement of Lady of Avalon (sequel to Mists of Avalon) this drops down to the dragging pace and heavy wordage of the first in the series, The Forest House. Nevertheless, there is indication in some sort of progression in Bradley’s writing, as well as providing a fresh voice with its co-author Paxson. While just about everyone is hanging around and waiting for The Gathering Storm (due out November 3rd), first in the concluding books of the Wheel of Time series being written by Brandon Sanderson; readers might like to try out one of Sanderson’s first books that has been available for free as an ebook on his website for some time. It is more in line with his first book, Elantris, than his fantastic Mistborn trilogy, Wheel of Time and Sanderson fans will find plenty to occupy themselves in Warbreaker. Sanderson delivers another unique magic system all about color and breaths. Breaths can be bought and ingested, and with each increasing number of breaths, one has more power to do things like bring inanimate objects to life and even create a zombie-type being from the dead. There is the royal house where all royalty possess many breaths and show this in their ability to glow and whose hair changes color to fit their moods and emotions. Then there is the land of the gods and those gods who have returned from the dead. 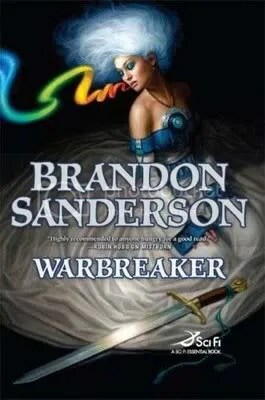 Warbreaker is a complex world that has a lot of detail to offer the reader which, while not one of Sanderson’s best works, nevertheless will delight fans and entertain them until November rolls around. Originally written on May 25th, 2009 ©Alex C. Telander. For an interview with Brandon Sanderson check out BookBanter Episode 2. In Sanderson’s thrilling and resounding conclusion to his Mistborn trilogy, he doesn’t hold back, skillfully bringing all the different pieces, sub-plots, and characters together in a fitting end to the series. 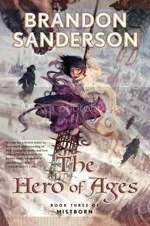 While Sanderson has admitted that he may return to the mistborn world one day, it will be set hundreds of years in the future or past. Nevertheless The Hero of Ages weighs in at almost six hundred pages and offers a very satisfying finish for its complex and powerful characters. The Well of Ascension has been found by the supposed Hero of Ages, Vin, and the power has been released, except it is an evil spirit, Ruin, who seeks to end the world with the help of its deadly inquisitors. The ash from the ashmount is falling thicker and stronger, choking the lands, preventing life from growing or surviving, while the great volcanoes are beginning to thunder to life, and the mists continue to terrify everyone, leaving some dead, others deathly ill, perpetuating the mystery. Elend Venture, now emperor of the realm has two kingdoms to ally with in preparation for the end and the oncoming battle. Leaving with Vin, he heads to Fadrex City which was formerly Cett’s kingdom, but is now under the control of the obligator Lord Yomen, along with his army of koloss. Spook, Ham, Breeze and others head for Urteau under the control of the maniacal Quellion. But Ruin is somehow able to control both Yomen and Quellion, as well as stealing control over the koloss, outweighing the odds against Emperor Venture and his people. Then there are the mysterious kandra race who are in a crisis of faith, for their sole existence is based upon the Contract which was written by the Lord Ruler, who is no longer: does the Contract therefore no longer apply? There is the trial of TenSoon who has slain one of their own. The First Generation of kandra sit silent and undecided, while the later generations are anxious and impatient, unsure whether to adhere to the Contract or rebel. Finally there is the great Sazed, the scholar who has lost his faith, having researched every religion but one and finding nothing but lies and obfuscation. It is with this last religion, the religion of his Terris people that is somehow tied to that of the kandra, that he holds on with a sliver of hope, seeking some final answers to the meaning behind the world, its gods, its peoples. In The Hero of Ages, Sanderson ratchets everything up to its highest point, with the end times approaching and all hope dwindling. 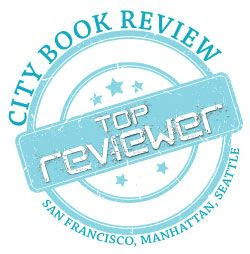 The reader is hooked to the very last page, unsure of what will happen, who will survive, and wondering if this might really be the end of everything? Originally written on November 28th 2008 ©Alex C. Telander. In the riveting sequel to The Final Empire, Sanderson doesn’t hold back, continuing on from where he left off: the Lord Ruler is gone, but this was just the first mighty battle in the ongoing war. In The Well of Ascension times are still hard for many, even though the skaa have been freed and Elend is now king of Luthadel and the surrounding territories. The nobles must now learn to live in a democratic society where they cannot have slaves. It is a different world for many. Before the dust even has time to settle, King Elend faces problems from various fronts: there is dissension in his democratically elected cabinet who wish to return to the old ways; then there are three armies marching toward Luthadel. Before our main characters can decide what to do, they find themselves under siege from two massive fronts. One is controlled by Lord Straff Venture, Elend’s father who wants his son to hand over his kingdom to him, no questions asked. Then there is Lord Cett looking to seize control of Luthadel with his own substantial army. Elend finds himself in a unique position where he can ally with one army and therefore be able to overthrow the other. The question is who to ally with? As he contemplates this a third army arrives, of koloss. These are tall 9-15 feet creatures that vary in size but are terrifying to humans. Originally created by Lord Ruler for his army, their skin is extremely wrinkled and hangs off them in places like loose clothing while there are great tears in the skin and yet the koloss ignore this. But their red, blood-rimmed eyes strike terror in all who view them. They may seem dumb and slow, but in battle they are fierce and destructive, and it’s unknown whether they may lose control at any second and begin rampaging into the city of Luthadel. Then there is Sazed, a loyal member of the group who is a Terrisman, a special person with the ability to store thoughts, memories, and knowledge in metal that is worn in the form of rings or armbands. Stored in these armbands are also other abilities such as great strength and speed. But in Sanderson’s world, it’s all about balance, as the energy stored in each armband is finite, and in some cases can take many years to be stored up, but can be used and extinguished in a matter of minutes. Sazed is a scholar and knows much is not right with the world. Somehow the mists that are feared by many for a long time throughout the realm begin killing people and even wiping out whole villages. There is the Deepness, a mythological force that was supposedly stopped when the Lord Ruler came to power, but is not fully understood and may bring terrible things to pass. Sazed must also find the correct location for The Well of Ascension, for it is here that the Hero of Ages – who he believes Vin to be – will release the power and save the world. Then there is the OreSeur, a kandra, an ancient race who are able to absorb the bones of a dead person or animal and take that form and appear almost identical to them. OreSeur is Lord Straff’s kandra, and is sent to spy on Vin, but it’s also discovered that there’s another kandra somewhere within Luthadel who, with the kandra abilities, could literally be anybody. Finally there is the supposed Hero of Ages, Vin, who isn’t sure what she is, but knows she is one of the most powerful people in existence, but must use her power wisely and not kill recklessly. She befriends another allomancer, Zane, who seems very familiar, and she becomes close to him, for they have so much in common, and yet he is the allomancer for Lord Straff and therefore an enemy. Sanderson continues the complexity of the world, with many moral and sociological questions coming into play, as well as adding new plots and subplots. While it may seem a little overbearing, he skillfully keeps everything organized and separate and maintains the reader’s interest throughout. 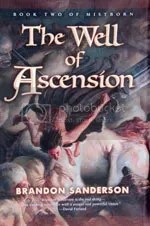 It is a sequel worthy of its name, as The Well of Ascension keeps the pace going from the first book, making the reader hunger for more at the last page. The trilogy is concluded in The Hero of Ages. Originally written on November 24th 2008 ©Alex C. Telander. 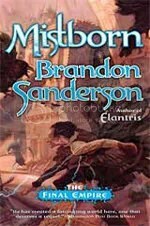 The first novel in New York Times bestselling author Brandon Sanderson’s Mistborn trilogy is an introduction to a fantasy world of class and standing where the poor suffer under the iron fist of the nobility who ignore them and pretend they don’t exist. Mistborn: The Final Empire reveals a unique realm where the mistborn possess powers of magic never before seen in any other fantasy novel. 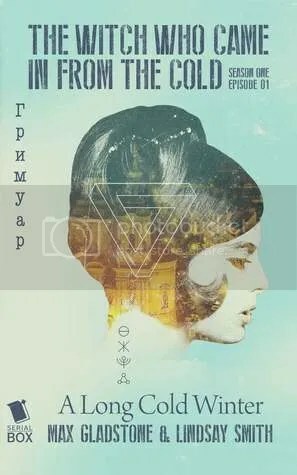 Vin is a sixteen year-old skaa, a peasant girl who has never really known her parents, abandoned by an abusive brother, and spends her days working in a field with no hope of change. That is until a tall and imposing stranger by the name of Kelsier shows up, dismisses her abusive boss like he is garbage and pays attention to her for the first time. He tells her she possesses powers she is unaware of and then takes her away from her life of slavery, for she is mistborn. The mistborn are very few in number, but the powers they possess are to be feared by many throughout the realm. By ingesting small amounts of metals, a mistborn is able to “burn” a particular metal and exert a certain kind of power with it, also known as an allomancer. Different metals that are burned result in different powers. Steel allows one to push on metal objects such as railings, doors, coins, belt buckles, wherever there is metal nearby to be used, allowing one to push themselves into the air to great heights. Iron allows one to pull on metals in one’s surroundings, pulling them up walls and across open spaces. Zinc allows the mistborn to inflame emotions in others, to make them angrier or sadder, or more fearful. Brass is a soothing metal, allowing the user to calm and dampen other’s emotions. Bronze allows the mistborn to detect whether allomancy is being used by others nearby. Copper allows mistborn to hide their use of allomancy. Pewter, one of the most useful of the metals for an allomancer, allows them to greatly enhance their physical abilities, so they can be stronger, have faster reflexes, and move exceedingly fast. Pewter also allows them to sustain injuries and barely notice the pain and not be hindered when under attack. Tin enhances one’s senses, allowing them to detect sounds, sights, and smells better than any human. These are the basic metals that all mistborn can use. But when the small supply of ingested metal is extinguished, the allomancer must find more, or find themselves with simple, ordinary human abilities. Then there is the metal atium. A very rare metal that can only be found in small amounts within the crystalline caves of the Pits of Hathsin. It is here that prisoners are put to work to search for the metal and suffer constant wounds from crawling through the narrow tunnels. If the prisoner does not find a piece of atium, he or she is executed. Atium serves as the most expensive metal in the realm, which everyone hungers for. The Lord Ruler gives out small amounts to his nobles and keeps the rest for himself. But when a mistborn swallows and uses atium, they have the ability to see future actions, choices made by an opponent during a fight, making it the most important and useful metal for an allomancer. As Vin begins training with Kelsier, who is also a mistborn, she discovers she is to be part of a group plotting to overthrow the Lord Ruler, who has controlled the world for over a millennium, subjugating all to his tyrannical and merciless power. With the help of the religious group, the Steel Ministry, which is controlled by the Inquisitors: a trained and bred group of people with giant spikes hammered into their eyes; they are feared by all for their terrifying appearance, as well as for their allomantic abilities. But there are those – Pewterarms, Seekers, Soothers, Rioters, Lurchers, and Coinshots – who are able to use only one of the metals, and Kelsier has chosen the gang carefully, selecting specific people with specific talents and powers, and fully believes he can kill the Lord Ruler and make the world better. Sanderson’s first book in his planned trilogy opens up a world with unique magical powers and astounds the reader, as well as keeping him or her reading nonstop to find out what happens next to the well developed and fascinating characters. Mistborn: The Final Empire will make the reader go out and buy the next two books – Well of Ascension and Hero of Ages – in the series, just to find out how it all ends, and who remains alive on the last page. Originally written on November 8th 2008 ©Alex C. Telander.